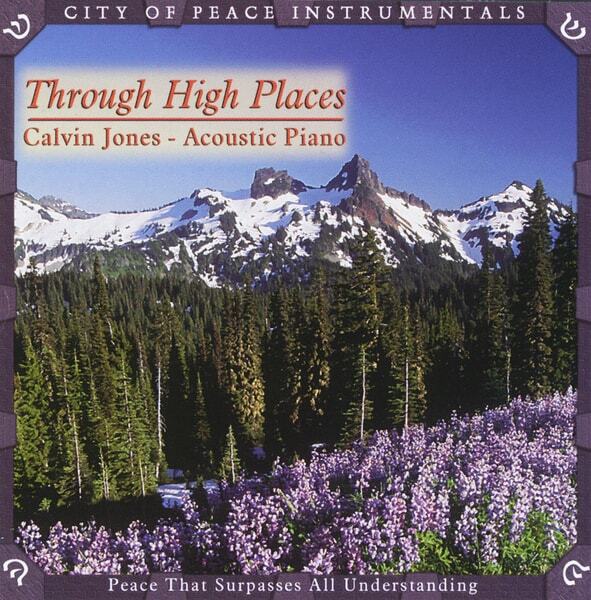 Calvin's debut release "Through High Places" was the inspiration behind countless pianists performing Calvin's classic "Whitewater Chopped Sticks" thrilling audiences at recitals, talent competitions, and pageants everywhere. Destined to be a classic, "Through High Places" represents a personal retreat, a hiatus from the hectic, fast-paced world into the solitude of the mountains. As one listener commented, "Through High Places will take you to Pike's Peak and leave you there!" With haunting originals such as "Again", "Snowmelt" and "Sunrise in the Rockies" as well as Calvin's interpretations of "O Danny Boy" and "Chopsticks" this continues to be one of Calvin's best selling releases. Check out Teresa Scanlan, the reigning Miss America 2011, as she delivers a blazing performance of Calvin's "Whitewater Chopped Sticks" on ABC TV for some 14 million viewers! I received this originally as an audio tape from Calvin himself. I was a reporter for a small college newspaper in Aberdeen, SD and had interviewed him for my column. Little did I know when I popped that tape into the deck that day, how blown away I would be by the music that came pouring out. Sunrise in the Rockies truely moved me and White Water Chopped Sticks made me happy. I now own all of Calvins albums on CD and have in fact just had to repurchase Through High Places as I wore my last copy out. If you want to hear great piano music that will make you feel good, then you can't go wrong with Through High Places. This is the best recording that I have ever listened to! I suggest that you get it! This CD absolutely will make your day. Calvin's music sweeps you off your feet. This album is wonderful. I have listened to it since I met Calvin Jones almost 10 years ago. No other pianist that I know plays with such emotion and creativity.